Ruby Tuesday is now offering gluten-free burger buns for a $1 upcharge. The traditional American chain, with 24 locations in the Delaware Valley, has more than 700 restaurants throughout 44 states. The full allergen guide is posted at the company's website. Contemporary Thai BYOB Circles has opened its first New Jersey location in Collingswood (8 Powell Lane, 856-869-0001). Gluten-free and gluten-free-by-request items are noted on the menu and include all soups, salads and curries, as well as many entrees and noodle and stir-fry dishes. Be sure to request gluten-free soy sauce. These items are also available at the restaurant's Philadelphia outposts in Northern Liberties (812 N. 2d St., 267-687-1309), Society Hill (429 South St., 267-639-2396) and Point Breeze (1514 Tasker St., 267-687-1778). New York City macaron purveyor Woops! is expanding into the Philadelphia area with kiosks at Cherry Hill Mall (2000 Rt. 38, 856-874-6793) and Christiana Mall in Newark (132 Stanton Christiana Rd., 302-593-1670). 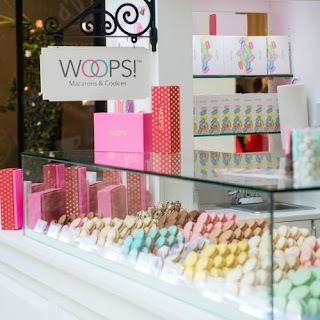 All of the macaron flavors are gluten free, though the French pastries are not produced in a dedicated facility. Snap Kitchen, the healthy prepared-foods purveyor that I wrote about last month, is opening its first two Philadelphia stores tomorrow, in Old City (243 Market St., 215-845-0004) and Fairmount (1901 Callowhill St., 215-845-0001), The entire menu of pre-packaged meals is gluten free, save for the whole-wheat pita crisps and the Caesar salad (which contains said crisps). La Creperie Cafe, which served gluten-free crepes near Rittenhouse Square in Center City Philadelphia, has closed after 18 years in operation. The Lone Star Steakhouse location on Dupont Highway in New Castle, Delaware, has also gone out of business. Made from sustainably certified, farm-raised shrimp, each of the three items launching under SeaPak’s new Lighthouse Selections label is gluten free, contains fewer ingredients than traditional frozen seafood products, and is also free of trans fats, additives and preservatives. Designed to be grilled, baked or sautéed, Lighthouse Selections products contain fewer than 180 calories and less than 8 grams of fat per serving. The three items under the new label – Shrimp & Veggie Griller, Creamy Garlic Shrimp and Marinated Shrimp – begin shipping this month and are available at selected retailers for a suggested retail price of $8.99. 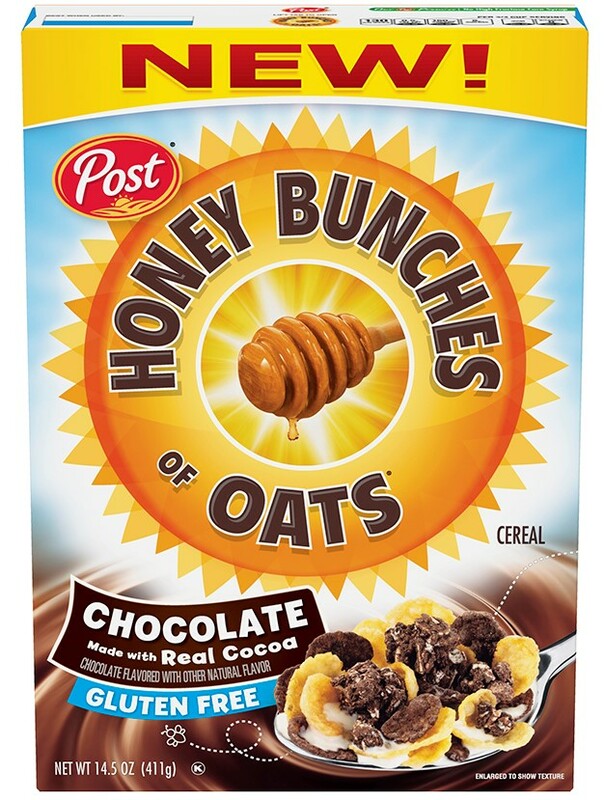 Post has introduced a gluten-free addition to the Honey Bunches of Oats family. The new Honey Bunches of Oats Chocolate is made with cocoa granola clusters mixed with honey-covered flakes. 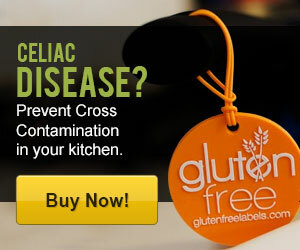 Read more about the cereal at my blog post for Gluten-Free Living magazine. Gluten-free Girl Scout Cookies are returning for the 2016 cookie season. Back by popular demand, Toffee-tastic (buttery cookies with toffee bits) and Trios (made with real peanut butter, chocolate chips, and whole grain oats) will be available nationwide from most Girl Scout councils. Not all varieties are available in every market, so contact your local council to inquire about the cookies they're offering this season. National Girl Scout Cookie Weekend will take place February 26–28. Girls across the country will sell cookies at booths, door to door, and via Digital Cookie 2.0. Glutino has discontinued its line of gluten-free New York-style bagels, while Kellogg's has ended production of Eggo Gluten-Free Cinnamon Waffles. The company continues to make the Original variety.